On September 5, 2017 — Trump ordered an end to the Obama-era program Deferred Action for Childhood Arrivals (DACA). 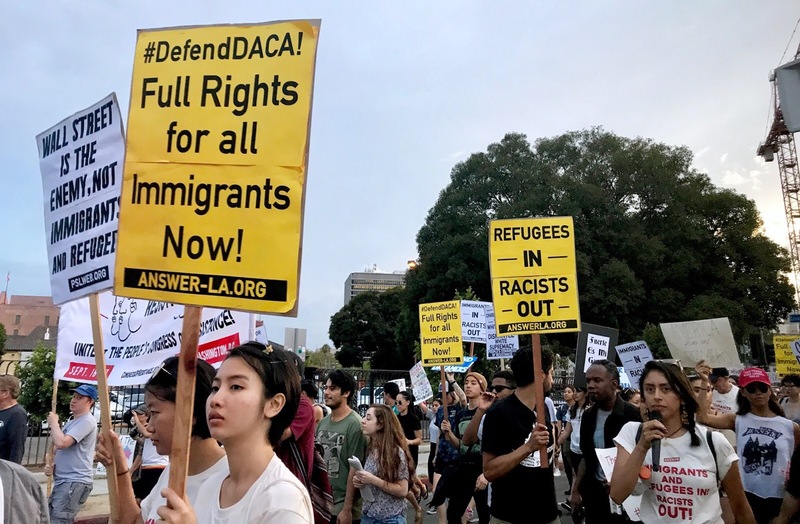 For five years, DACA granted limited amnesty to approximately 800,000 young undocumented people who met rigorous requirements. Although these politicians’ defense of DACA may seem welcoming, they reinforce an artificial dichotomy between the “good” and the “bad” immigrant and generally framing undocumented people as criminals. There are approximately 11 million undocumented people in the United States. Let’s be real, DACA was never an adequate solution for America’s immigration situation. The creation and support of DACA by the liberal elite has created an illusion that they are pro-immigrant. Here is evidence to the contrary. Back in 2001, the Development, Relief, and Education for Alien Minors (DREAM) Act was first introduced. This legislation would have provided a path to citizenship for undocumented youth. However, a Democrat-controlled Senate killed the bill in 2010. Unlike the DREAM Act, DACA does not provide an eventual path to legalization. DACA was also a distraction from the fact that Obama deported more than 2.5 million undocumented people – more than any American President before him. Yes, Obama granted amnesty to roughly 800,000 undocumented youth— but he also paved the way for Trump’s blatantly racist attack on “criminal immigrants”. By arguing that DACA recipients have earned their place in America, Obama and others imply that other undocumented people deserve nothing but deportation and marginalization. Trump has left DACA’s fate up to the Congress, which has six months to act. White House officials want Trump to make a deal with the Congress that offers DACA recipients protection in return for funding for a border wall, more detention facilities, and implementation of E-verify – an online system that allows businesses to check immigration status. Protecting DACA should not come at the cost of demonizing other undocumented people. What? Does Hood Digest not support DACA? Nah chill homie. We support efforts to retain it, and do not object to the protection of DACA recipients. But, DACA should not be our endgame. We need to keep fighting and adopt a narrative that doesn’t criminalize the rest of the 11 million undocumented gente in the United States. So when you take the streets protesting, flood social media, or bring awareness in daily dialogue, make sure not to push narratives of childhood innocence and economic contribution that constricts our movement. Our narrative needs to be inclusive of all 11 million undocumented people.